This is a deliciously dark film from the 1940’s, the golden era of Hollywood film noir. 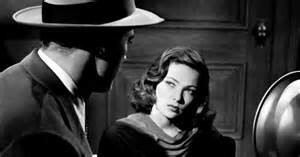 What is a film noir movie? Usually it is a crime drama emphasizing sexual motivations or cynicism. Laura has all of this and more. 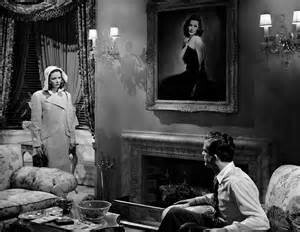 Detective Mark McPherson (Dana Andrews) is sent to investigate the murder of Laura Hunt (Gene Tierney). As he furthers his investigation, he is confounded as to why anybody would murder Laura, a woman whom every man meets they fall in love with. Andrews plays the part of McPherson effortlessly, kick-starting his career in the process whilst Tierney oozes screen magnetism and selfish vulnerability. However, both are outshone by Clifton Webb, who steals the show as Waldo Lydecker, a venomous newspaper columnist who destroys careers and reputations through the newspaper. Webb is simply terrific in this role ( he was playing the same role on the theatre stage before being cast in the film) and his comedic mannerisms are pure gold. Supporting cast is headed by Vincent Price who plays Shelby Carpenter, who competes with Lydecker for Laura’s affections. Laura’s twists and turns will keep you guessing to the very end à la Hitchcock. The dialogue is fast and snappy, brilliantly acted by Andrews and Webb, fabulously directed by Otto Preminger, Laura is a treat that you shouldn’t miss. Originally planned to be a ‘B’ movie it was upgraded to ‘A’ status. The bosses at 20th century fox wanted Webb to audition for the part of Lydecker, who he was already playing in the theatre. Director Otto Preminger refused, then asked the bosses to go see Webb in the theatre as his ‘screen test’.